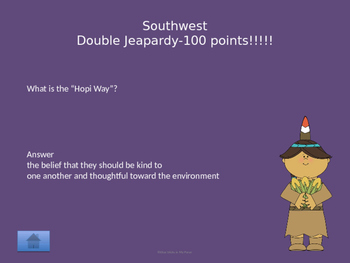 Who doesn't love to review with Jeopardy? I know my students get excited when I review for a domain test using Jeopardy. 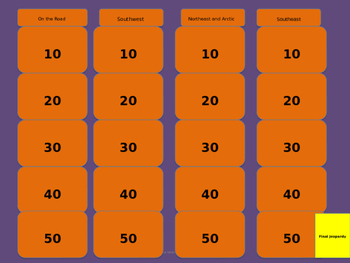 This interactive game comes with 4 categories with 5 questions for each category. As well as a Final Jeopardy. 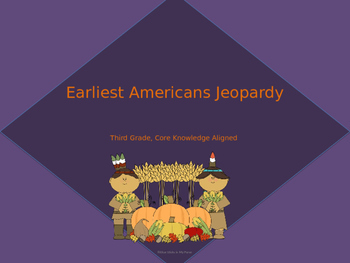 This is aligned with third grade CKLA unit 8 "Earliest Americans"